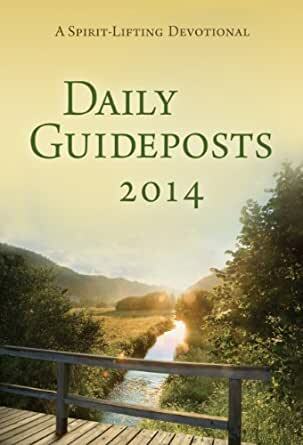 Daily Guideposts 2014 - Kindle edition by Guideposts Editors. Religion & Spirituality Kindle eBooks @ Amazon.com. Every day, Daily Guideposts offers a short Scripture verse for reflection, accompanied by a true, first-person devotion, told in an informal, conversational style, that shares the ways God speaks to us in the ordinary events of life, and a brief prayer to focus the reader’s own prayers and apply the day’s message. For those who wish for more Scriptural depth in their quiet time, the “Digging Deeper” feature provides additional Bible scriptures that relate to the day’s reading. Guideposts, a nonprofit organization, touches millions of lives every day through products and services that inspire, encourage, and uplift. Our magazines, books, prayer network, and outreach programs help people celebrate God's love and hope in their daily lives. To learn more, visit Guideposts.org. 5.0 out of 5 starsA one-a-day vitamin for your soul! I've always loved having the DAILY GUIDEPOSTS by my bedside for evening or morning reading. But now the Kindle edition makes it so much easier to read--no light needed. And I can take my Kindle with me and read a bit here and there. Those little bits are always uplifting and insightful. Almost every daily devotional has depth and personality. A few don't, but what's that among the 365? And it's my personal preferences. The index and the scripture references at the back of the book are great ideas--for the printed edition at least. They are not linked in this Kindle edition and thus one can't find the location. Next year, hm? A great selection of contributors, too. I always like the down-to-earth and heartfelt Patricia Lorenz and Karen Kuykendall. And from a male perspective, there are Brock Kidd and Jeff Japinga, as well as Rick Hamlin. But the women writers far outnumber the men. I guess that's the market! So just a few minutes on one reading a day, meditate, prayer, look up scriptures--and you'll be well outfitted for a more rewarding and closer-to-God day. Highly recommended. I subscribed to Daily Guideposts for years until it became available on Kindle. Now I purchase the kindle version. It is handy to take in a purse or tote bag. My kindle has all my daily reading in one "book". Daily Guideposts has a large selection of contributing writers. The writers are from many backgrounds mostly evangelical. Each day is varied, brief and inspirational experiences of the writer. I love the new addition of scriptures I can choose to read in addition to the devotion. In addendum: In late summer I began getting an error message that I needed to remove the copy of Guideposts and reload it from the Cloud. I tried this. After repeated message each day I called the tech department. Kudos to the techs. They worked almost every day for 3 weeks to correct this issue. We restarted, reloaded, reset the device, they finally removed the book entirely and gave me a new Kindle download free. After a day or two the same error message began to reappear. The tech had me change the font. This seemed to work but only on a daily basis. So, day after day, I reset the font to be able to read the devotion until the end of the year. I read a lot of other books and have not had an issue with any of them except this Guideposts 2014. Previous years worked just fine. I think it must be a formatting problem with this issue. Because of these frustrations I did not purchase a new Daily Guidepost 2015 Kindle version. After more than 30 years, I will miss all my writer friends and their encouragement. I love to read it everyday. I've already bought DG 2012 and Morning with Jesus, and the three of them are my first readings (quite always) in the mornings. When I have doubts, fears, emotions, depression, sadness, it seems that God uses these books to talk and encourage me. Sometimes, nevertheless, I thought that the people that gather the "digging deeper" at the end of each reading in the 2013 edition, messed with the right ones since you find reading verses of the Bible that have no sense with the day's reading. I'd tried to contact DG people to say that to no avail: it's a very cumbersome task since they do not have an easy way to contact them. So, I resorted to call their attention through this review. However, this do not deter me of the readings since 99% of the time, they are so accurate in my life that they're an indispensable tool to begin my day. (But, please, check the Bible verses! You would begin with today, June 11 reading, as an example about the weirdness of the digging deeper section). I have been reading Daily Guideposts for many years. I paid about $20 for large print and with S&H but lost the book somewhere in my house so I went to Amazon.com and got it on my Kindle for a lot less. No S&H. Each day there is a message of inspiration from many different writers; old, young, male, female and from all walks of life. Each writer is featured in the back so you can become familiar with them, also. After all these years, I feel like I know each writer and am friends with each one. I would recommend this book for anyone. It only takes a few minutes to read the daily reading. 5.0 out of 5 starsFor me: It's a necessity and a way of life. For more years than I recall, Daily Guidepost has always been just what it says "Daily Guidepost". It's one of the ways that keeps me in touch with God and the authors show me how they deal with everyday things in their life. Sometimes, it is exactly what I've gone through that day and other times perhaps something from my past. To me it goes hand in hand with reading my Bible. It's wonderful that I can download it and my Bible to my Kindle. At night, I reach for my Kindle, read my Daily Guidepost, my Bible, and feel I've touched the hand of GOD. 5.0 out of 5 starsSuper great way to begin each day! 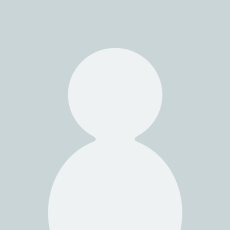 when you read these stories. I will definitely buy Guideposts every year from now on. I have read Daily Guideposts as a devotional for over 30 years. It is uplifting and inspiring notes every day through the lives of ordinary people. Not preachy just encouraging and thought provoking. Many different writers of evangelical backgrounds contribute to this compilation which keeps it interesting. This is not a bible study book but this year they have added a new line of "Digging Deeper" a list of bible references you can look up on your own if you choose.